Our experience at World AI show - Invento Robotics: Robots for customer engagement. 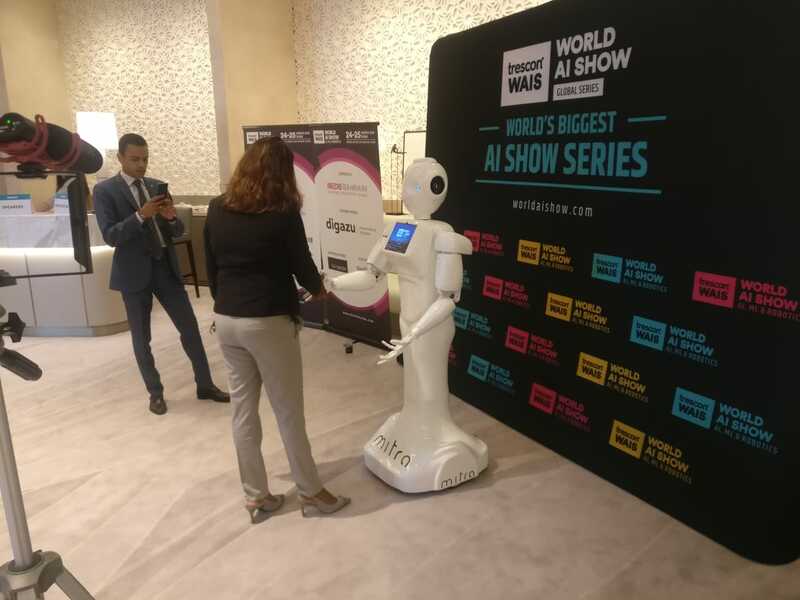 The worst part of World AI show was that it ended. 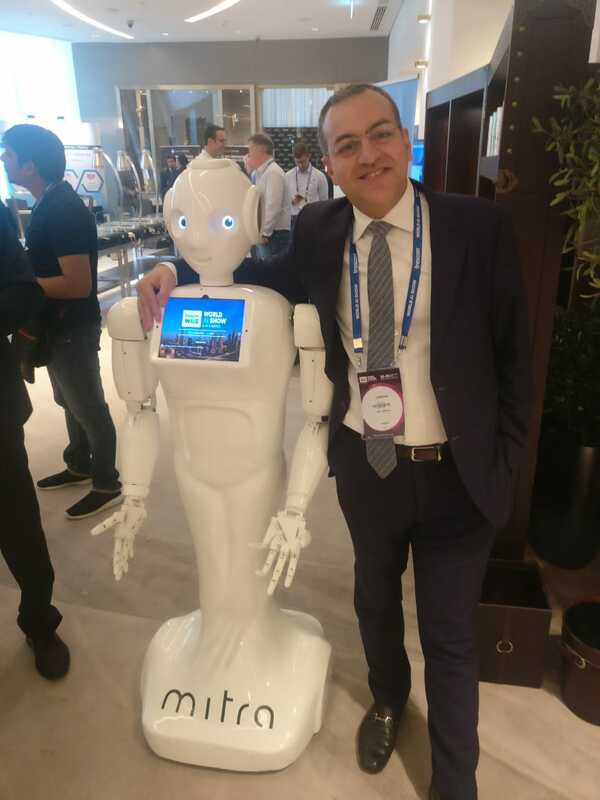 It would be true if we said that World AI show has been nothing short of an information mine. With great keynotes and discussions lined up, the show started on right foot. – Oussama Berqi, Head of Data, Careem UAE ,a popular ride-booking app. AI has seeped into our way of living. It is bringing relevancy into context, whether it be in social media, entertainment, travel and Retail. We are able to make quicker and better decisions and avoid the infamous “decision fatigue”. 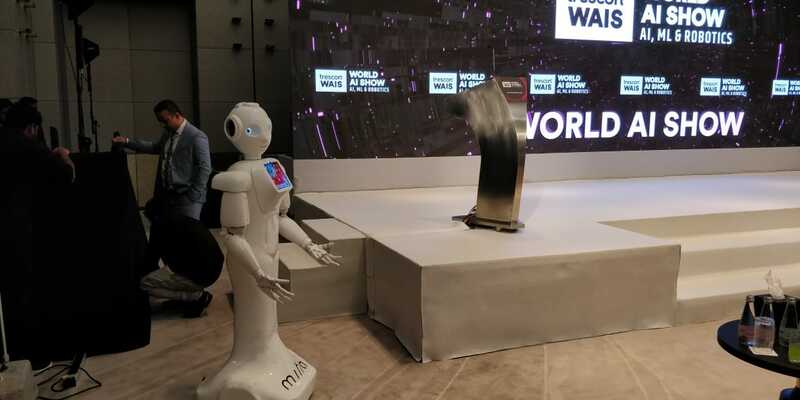 World AI show brought very interesting discussions to the table , for instance, “the trolley problem” defined as “A trolley out of control, is running down a trail and there are two paths – Will you sacrifice one person to save 5 people?”Will a robotic vehicle have the “intelligence” to ask this same question? which sparked an interesting reply from Ivan Kristoff “When we say – the machine did it -we are merely transferring liability! The responsibility always lies with the human”. 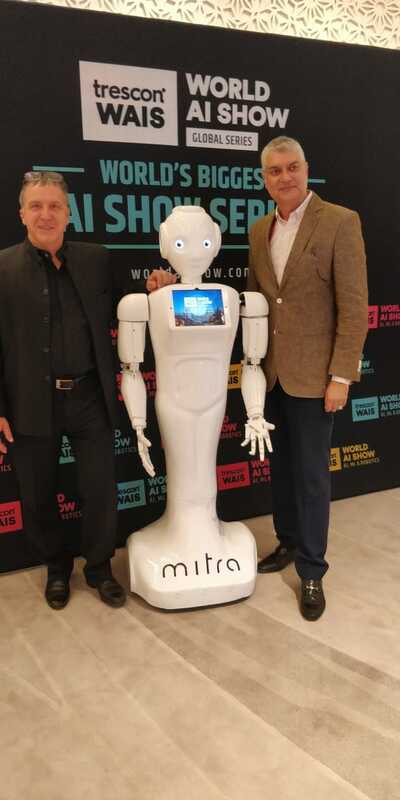 Mitra 3.0 , our flagship product is aimed to turbocharge retail experience. 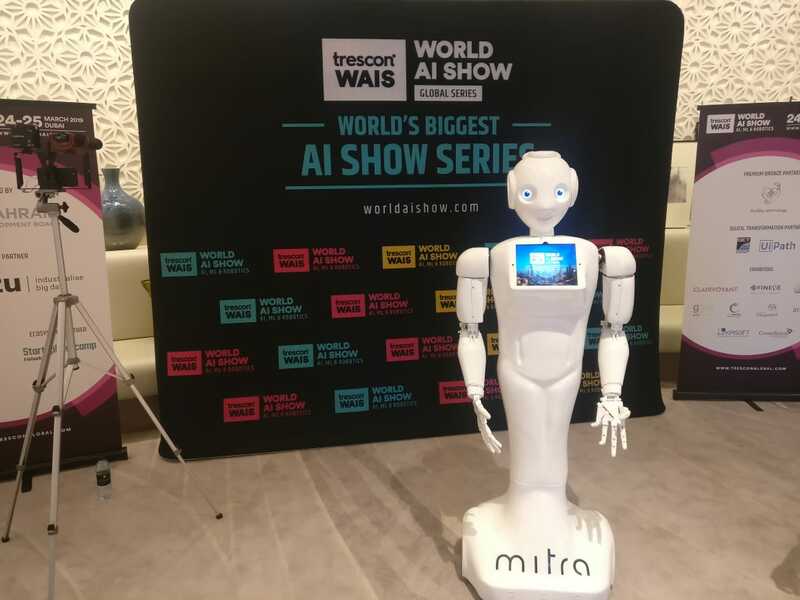 We have been in in talks to getting Mitra into malls, car showrooms and retail stores. Mitra, navigating seamlessly would record your visitor details, preferences and history to provide them with contextual suggestions. As a retailer, you could gauge your customer behavior correctly with the help of analytics. 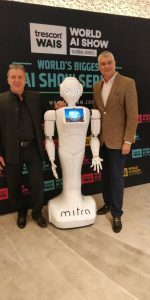 Mitra can be your smart shopping assistant and proverbial salesman. The show got us interesting learning and great media coverage. Mr.Kaundinya,VP of sales in conversation with Dubai media. We met quite a bunch of relevant people to work with. 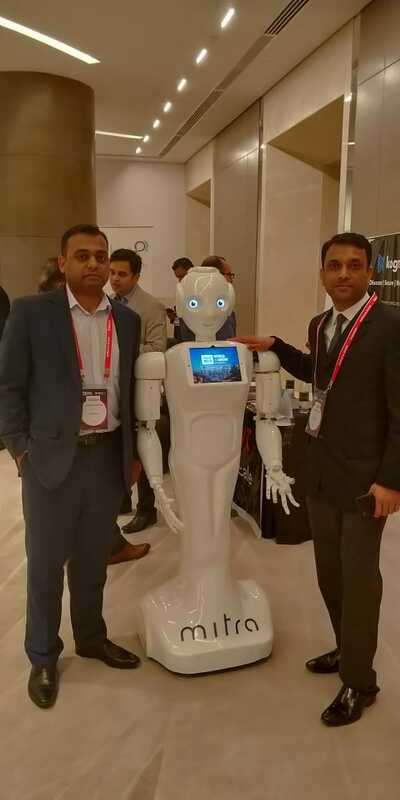 There were interesting discussions on Mitra’s various use cases. 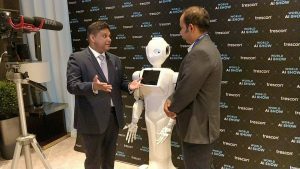 The event concluded with panel discussions on AI in insurance. Being in company on 40+speakers addressing thought evoking was a great opportunity. 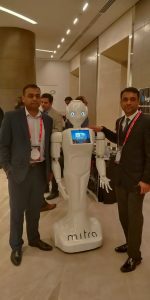 Mitra is now all set to pave its way in Dubai.